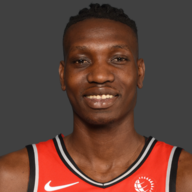 I was reading one websites breakdown of the Most Improved Player race, and during Siakam’s section, the piece referred to him as “Everything you want in a role player”. That’s insulting. I think everyone who has seen this kid play this season knows budding star is a more accurate depiction of what he brings to the table. 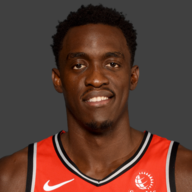 Siakam did a little bit of everything tonight and was the Raptors most productive all around player. And I wouldn’t even rank it as a top 10 game for him on the season. Not bad for a role player! When Danny Green hits his open shots, it unlocks the attic for where this team’s ceiling lies. 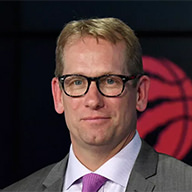 The Raptors best podcast host was masterful in his use of screens tonight, and was sneakily selective of when he cut to open space. That savvy play from Green allowed him to get comfy early, find his spots and let em’ fly. If this game wasn’t such a blowout, Danny might have been on pace for a big game from deep. But alas, we just got a taste of what he can do. Don’t get me wrong, I’m thrilled that Ibaka’s suspension is now over. But in the 3-game test run Marc has received during Serge’s timeout, he’s shown us flashes of why we traded for the former defensive player of the year. Ball movement in this game was as good as it’s been all season, almost 2015-Spursy at times. 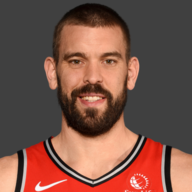 A staple of almost every aesthetically pleasing possession was Marc Gasol. His chemistry with the Raptors seems to have really spiked during Ma Fuzzy’s absence. Let’s hope he continues that trend as we gear up for the postseason. 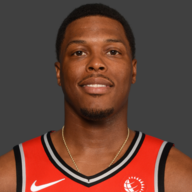 Is Kyle Lowry the Raptors best 3 point shooter? The Numbers say not quite, but the eye test begs to differ on some nights. Tonight was one of them. Everything was rolling for the engine that makes the Raps tick – until the 5:15 mark of the 3rd quarter. The 1-2 combo of Mitchell Robinson’s awful balance and lack of self-awareness led to a very scary moment for all of us. The Raptors faithful with wait with baited breath for an update on the All-Star’s health. So much for an injury hangover. FVV has wasted no time at all in getting back to his old ways. In his second game back. Most encouraging was Freddy’s level of apparent comfort while sharing the floor with the starters. 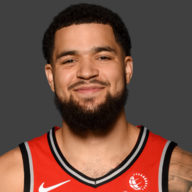 The best version of VanVleet figures to be a mainstay in the Raptors crunch time lineup come playoffs. It’s fantastic to see him finding his groove so quickly. 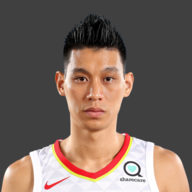 I love Jeremy Lin the person, but it’s been frustrating rooting for Jeremy Lin the basketball player. I think what many of us thought he would accomplish with FVV out was far and away from what he actually produced. 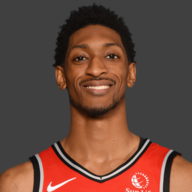 He had some nice offensive plays in the 4th, but it’s going to be an uphill battle for the newest Raptor to find a place in the rotation with Fred back. 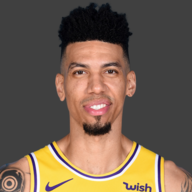 I think the faster we accept Lin’s position as a solid 3rd string point guard, the less we will worry about how he might be able to compete against opposing starting units when he “plays to his potential”. But I do love me a good Lin transition 3 heat check – brings back some memories. First 20-point night as a Raptor. 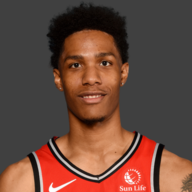 I adore Patrick McCaw. Not as much as Matt Shantz (he founded the fanclub) but I’m a big fan. Tonight wasn’t his strongest performance. I’m all about being a valuable contributor that doesn’t necessarily have to show up in the box score, but when you crack 20 minutes in playing time, you just need to show more statistically. 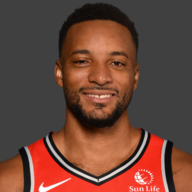 In the embarrassment of riches that was the Raptors offensive performance tonight, Norman Powell’s solid contributions off the bench got lost in the shuffle. Powell had 8 points at the close of the first quarter, but wasn’t able to chip in again offensively until garbage time. Really too bad – Norm’s great performances really seem to be predicated on good first halves, so I hated to see him benched while his teammates amassed a 30+ point lead. What an efficient outing by the Sophomore out of Indiana. If a couple open shots that rimmed out found the bottom of the net, we could be talking about a guy who scored more points than he played minutes. OG’s X-factor that he brings to games is woven into the lack of usage he needs to be truly effective. A silent assassin on the court and a menace in the box score. 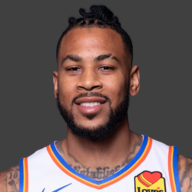 Eric Moreland was Eric Moreland tonight. He doesn’t bring anything incredibly attractive to the table in terms of basketball talent, but he’s a big body that we need out there for certain matchups. Unsure what kind of run (if any) he’ll get when Serge is back on Wednesday. Having what may have been the loudest anticipatory cheer from the crowd, on a 3 that didnt even go in, has got to be a pretty cool feeling. Long live Slim Dunk. It’s always hard to tell a coach when to sit his best players after a sizable lead has been established. With 5:15 left to go in the 3rd and up 33, it may have been time to pull the plug. But hindsight is 20/20 and it’s unfair to blame Lowry’s injury scare on Nurse. But did he need to be out there? It’s a valid question to ask. Otherwise Nurse was fine this evening, it was nice to see OG get some more run with the starters – something that could become important as Toronto shore’s up their playoff rotations in the coming weeks. The Raptors needed this. A good old fashioned beat down. After two pretty concerning losses to lesser competition in the Cavs and Pistons, it’s always good for team morale to get back to winning ways. But this blowout was more about how awful the Knicks were, than how impressive the Raps played. The Raps will need to build on this level of intensity to extend this win streak as they gear up for a home and home against a strong OKC team. Although this is the Quick Reaction, it’s hard to draw too much from a game that, as well as it went for Toronto, was fairly sloppy at times. Most of which was due to how the New York Knicks play basketball. But what the Raptors could control, they excelled at. Ball movement was #1 on that list as the rock was humming around the perimeter until it found the highest percentage look. If the Raptors pass the ball like that on a consistent basis they can beat anyone. Nobody wanted this to be the main topic of conversation tonight. But here we are. 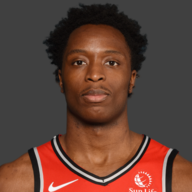 Mitchell Robinson fell on top of Lowry’s right leg after losing his balance with 5:15 remaining in the 3rd quarter, and for a brief moment, Toronto became noticeably quieter. We will have to wait and see what the official word is on the 5-time All-Star’s status, but based on Woj’s post game tweet, it doesn’t seem too serious. Fingers crossed.